If you want to see Jesse’s debate with Matt Slick, you can check this link. 1. 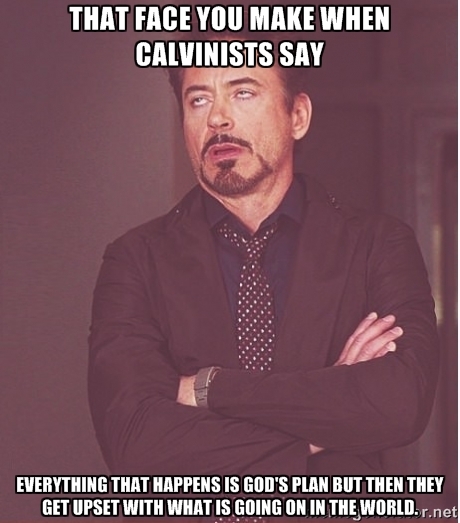 Calvinists are upset with God’s plan. 2. Calvinists are upset with God’s plan because God decreed that they would be. 3. God hates His own plan. 5. Sin is better than righteousness in all instances of its occurrence. 6. God prefers sin over holiness in every instance that it occurs. 7. God prefers the slaughter of millions of babies in abortion over saving their lives. 8. Nothing is better than the slaughter of millions of babies in abortion whenever it occurs. It doesn’t take a genius to see that Calvinism is reduced to absurdity, blasphemy on God’s character, and worthy of all mockery, ridicule and scorn. I am giving away a free copy of the classic book, “Objections to Calvinism As It Is” by Randolph Foster! I pray that this blesses your life. You’ll also receive in the same email two other theological books that I won’t name, just to spark your curiosity some more. And lastly, you’ll also be subscribed to our free email newsletter and will receive biblical articles and great content from time to time. On Calvinism, Sovereignty, Abortion, Open Theism, etc. This is a well researched must-see film for all who are curious about the views prior to Augustine of Hippo who lived between 350-430 AD. We often hear about the views of Martin Luther and Jean Calvin, but many of their views actually derive from Augustine. What views did the early church fathers have who lived beyond him? We can see that they unanimously and without exception believed in man’s free will and none of them believed that man is born with a sinful nature or inherited Adam’s sin. You can read more quotes from the website eternaltruth.us or my blog article here. This means that we should pay close attention to what these early saints had to say about salvation since the ”faith” was once delivered to them and since Jude here exhorts us to earnestly contend for this faith. (Naturally this doesn’t exempt us from our responsibility to compare everything we read and hear with scripture. ) Since ALL of the early church fathers (before the time of Augustine) believed in free will, and NONE believed in ”once saved always saved” NOR that man is born with a sinful nature AND (most importantly) since the BIBLE teaches the same things, then we should be completely confident about what the true doctrines really are which Jude is referring to. The only ones who taught the opposite were the GNOSTICS, and Augustine (a former gnostic) sadly brought in many gnostic ideas into church which we have been deceived by ever since. It’s time to go back the teachings of the early church, which are based on the Bible. God is not a God of confusion and is able to reveal the real truth to us in the Bible. The false idea that babies are born in sin is nothing but gnostic heresy and yet this falsehood is rather common worldwide in our churches today. Blaming me for not believing in Calvinism is like blaming a mentally handicapped person for not thinking. Apparently Tony’s god is “weak” too since he needs Tony to correct Marco. I thought he told the crowd ”they” must repent and believe and now he is saying GOD MUST DO IT…very confusing to unbelievers….and everyone else. But if I can go against Gods sovereignty than God isn’t sovereign in all things. Sounds like God predestines people for heaven or hell. Then I guess God is controlled by what men do. I decided to take a systematic theology class at my old church which was taught by a 5 point Calvinist named — this time in my life I believed what Calvinists told me, that Calvinism is not an essential issue. In the very first class we listened to a sermon on God’s sovereignty and in that sermon the speaker said If I didn’t believe in God’s sovereignty (as he was defining it by Calvinism) I’m an idolater. But I thought Calvinism is not an essential issue?—, who is leading the class told me Calvinism is not an essential issue, then why is he showing the class a sermon that says the opposite?Answer: Because he really believes Calvinism is essential. Then why did God blind some of the Jews from believing if they are already blinded? But wouldn’t that mean when you were born you were saved? Are you sure you got this new doctrine from God? Wait, you don’t believe that, you believe God is not willing that the elect should perish and God only wants some people to come to a knowledge of the truth, so why are you lying to the crowd? ”Then how is Judas responsible for betraying Christ if God forced him to do it?”Answer: God didn’t force Judas to betray Christ. Then I guess you better be careful how you speak. Apparently Romans 8:7 is not teaching unbelievers are not able to do ”anything good”. Lets say I have a time travel DVR and I record a football game before it happens. I can fast forward the game, play it slow motion, reverse it, fly around the stadium in 3D (that would be cool!). No matter how many times I do this the outcome is the same. Now lets say that you can also see yourself in this video and the choices you make that affect others. You can see how your actions affect others. Are the players using their free will in response to you? Yes. Are events in the game predetermined? Yes, because you know the outcome. Events are both predetermined (because God knows how humans will use their freedom to respond to Him) and freely chosen. What about Judas? 1) God knows all things. 3) God knew Judas would betray Christ. 4) Therefore, it HAD TO COME TO PASS (i.e, was determined) that Judas would betray Christ. 5) These events are predetermined and freely chosen at the same time. Paul assured his fellow travelers in advance that ”not one of you will be lost; only the ship will be destroyed” (v 22). Yet a few verses later he warned them, ”Unless these men stay with the ship, you cannot be saved” (v. 31). Both are true. God knew in advance and had revealed to Paul that none would drown (v.23), But He also knew it would be through their free choice to stay on the ship that this would be accomplished. The unchristian attack by Tony Miano against some innocent christian brothers was so nasty and hypocritical, so I’d like to take the opportunity to display the rebuttal/defense also here on my Blog. Also check the article here by Jesse Morell in the same matter. I’d also like to warn others from the website http://www.carm.org where the article was found. The website contains lots of truths, but sadly mixed with heresy since the founder Matt Slick promotes calvinism here and there. Calvinism is based on TULIP and you can read more about what TULIP stands for here. 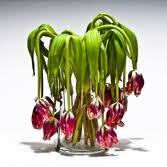 TULIP maligns the character of God by directly or indirectly making him the author of sin. I write this warning because I love calvinists and I hope they will turn away from their gnostic teachings and find the one true God whose son died for ALL. We will never know how many people have been absorbed by carm.org and and lost their ways into the false doctrine of calvinism. Calvinist theology is usually identified with the five points of Calvinism – TULIP, and this concept derived around the year 1619 due to the happenings in the famous Synod of Dort. John Calvin himself died 1564, so long before the ”five points of calvinism” started to be used in this way. While not all calvinists necessarily agree with John Calvin to 100%, most of them (if not all) would agree with the five points of TULIP. If a person chooses to believe in T in TULIP (Total Depravity) then he MUST believe in the rest of the points/letters in TULIP because TULIP stands or falls together. However, it is possible (and common) to believe only in P (which boils down to ”unconditional eternal security” or ”once saved always saved”) and not in the other points. There are some believers who still SAY they are 2-point/3-point/4-point calvinists but it’s not possible for obvious reasons. I can also say that I’ve encountered NO calvinists who are consistent with their own teachings. They all frequently express themselves as though man has free will to accept/reject God and that we all have an option to get saved, but this is not what their own theology allows. The doctrines within Calvinism was originally introduced to church by Augustine (who the Roman Catholic Church views as one of their founding fathers) in the fourth century, and he taught that Christ did not die for all men but for a chosen few whom God had chosen and predestined to become His children. John Calvin revived this teaching and continued to spread this idea, and today this dangerous soul-damaging doctrine continues to spread and deceive people. This is why we must not be silent and let it spread in peace, because we are dealing with people’s SOULS here. TULIP is based on the gnostic idea that we are all born with a sinful nature, but do we get this nature according to God’s will or against his will? Calvinists will not tell us. Total Depravity. Also called ”total inability” . This doctrine asserts that every person born into the world is enslaved to sin and not by nature inclined to seek or love God. (Whose fault is that?). This means, that in order to ENABLE people to seek and find God, God must first ”wake him up” from his spiritual death (calvinists wrongly use the term ”regenerate”). The ones God chooses to wake up are the same as those who will get saved. This doctrine results in that 1) GOD is the one CHOOSING whom to wake up. 2) The ones he does not wake up have no chance to get saved which God is aware of 3) God does not want all to be saved because then he would have ”woken up” more people 4) Most people will remain in their wicked sinful way of living only because God want them to, 4) It wouldn’t make sense for Jesus to die for people who God never intended to save, but for the elect only. Unconditional election. This doctrine asserts that God has chosen from before the foundation of the world those whom he will save, and this choice is not based on anything the individual does or believes (not merit, faith, etc) because it’s unconditional. Rather, this doctrine means that God’s unconditional election causes individuals TO repent and believe in him, and further that the chosen ones WILL end up in the Kingdom of God. This doctrine results in that 1) God has WITHHELD mercy from all the rest and those individuals WILL end up in hell 2) Repentance and faith are not conditions for salvation since God WITHOUT them will choose to whom he will provide the means of repenting and believing, 3) God could save everyone if he wanted but he wanted to save only some, 4) It wouldn’t make sense for Jesus to die for people who God never intended to save. Limited atonement. This doctrine asserts that Jesus’ only died for a few people (the elect) and his death was CERTAIN to bring about salvation for all those he died for. This doctrine results in that 1) only the sins of the elect were covered through Jesus’ death and not the sins of the whole world, 2) God never had a goal to save ”as many as possible” but only the elect, and that’s why the atonement was limited for the elect only, 3) Those who end up in hell do NOT do so for rejecting Jesus sin offering because his sin offering was never meant for them or intended for them. 4) Most individuals are born doomed (even if we can never know exactly who they are) since the atonement was never meant for them. Irresistible grace. This doctrine asserts that God’s desire/decision to save individuals cannot be resisted, but WILL cause them to obey his calling. This means that when God sovereignly purposes to save someone, that individual WILL be saved. The Holy Spirit causes the chosen individuals to cooperate, repent and believe. This doctrine results in that 1) God chooses who will end up in heaven or hell and we have nothing to do with this choice, 2) It’s not totally fair to say that individuals are saved through ”faith” since the truth is that they are saved by ELECTION, 3) Those who are lost were never offered any grace because IF they were offered grace they wouldn’t be able to reject it,4) It’s not fair to say that individuals end up in hell due to their SINS, since they are only doomed because God never enabled them to believe in him, and he never intended to save them in the first place. This choice was made BEFORE they were born and BEFORE they could think about sinning, so sinning has nothing to do with their destiny. Perseverance of the saints. This doctrine asserts that the ”saints” (those individuals who God has chosen to save before the foundation of the world) WILL continue in faith until the end. Those who apparently fall away either never had true faith to begin with or will return. This results in that 1) It’s impossible for an individual to at any time know if he is truly saved and ”eternally secure” because if he falls away in the latter part of his life this shows ”he was never saved to begin with”. 2) Individuals can safely place the responsibility to avoid sinning on GOD since HE is the one who are to ”preserve” those he has chosen to save. 3) Christians might easier fall for temptations because they know they will be preserved to the end anyway, if they are among the elect (which all calvinists believe they are). 4) It can bring a false sense of security and that you can be saved in your sins. P in TULIP is the most dangerous point since the TRUTH is that we cannot serve two masters and be saved in our sins – and Satan knows it. This doctrine might cause people to easier fall for temptations, and then their SOULS are at risk! This is a good reason to highlight the danger of Calvinism/Gnosticism to the world to prevent more people from being deceived. 1) God’s ways are higher than our ways! 2) Who are YOU to question GOD? 3) It’s impossible for our finite minds to fully understand the infinite mind of GOD! 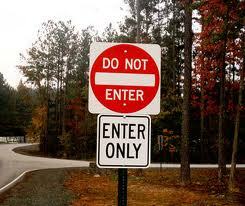 4) This only seems contradictory to us – NOT to God! 5) The potter always forms the clay to what he wants! 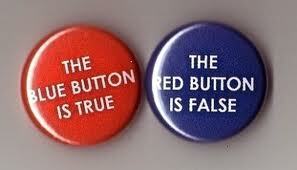 6) I believe in paradoxes – so what? The trinity is a paradox…! 7) The Roman Catholic Church teaches like you do! Any cult in the world can defend any contradiction at all by using the above excuses, resulting in that anything goes even if it’s totally against the Bible and makes no sense whatsoever. NONE of the early church fathers taught against free will the first 300 years AD (this can easily be proven), and none of them taught that we are born with a sinful nature or that we are unconditionally eternally secure. ONLY the gnostics taught such unbiblical doctrines. Calvinists have no answer for why ALL the church fathers were ”wrong” (and the gnostics actually RIGHT) for so many years until Augustine entered the scene and got it ”right”. Most will say that it’s the Bible that is important for us and not the views of the church fathers, councils, etc. While it’s of course true that it’s the BIBLE that should correct us, they must still explain why both the Bible AND the early church fathers taught free will, and they must also explain why they put so much emphasis on the events in the Synod of Dort, and the unfair treatment of Pelagius in councils where he was not even present to defend himself. Suddenly councils are very important…. 2 Tim. 4:2-3 Preach the word; be instant in season, out of season; reprove, rebuke, exhort with all longsuffering and doctrine. For the time will come when they will not endure sound doctrine; but after their own lusts shall they heap to themselves teachers, having itching ears.